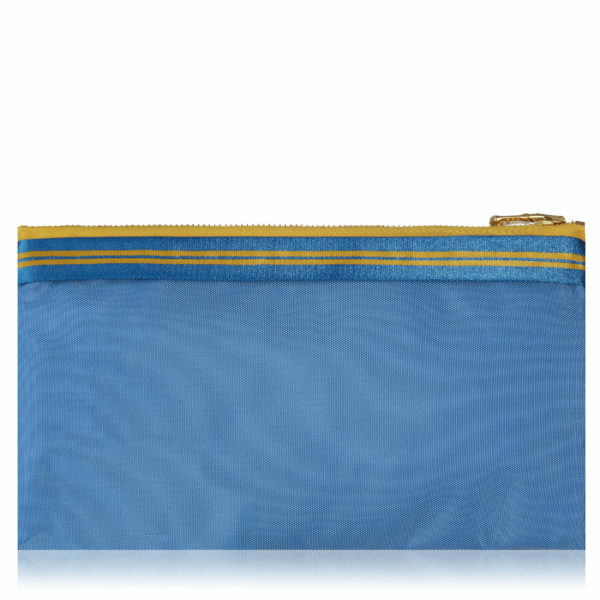 Lucky mini pouch in sky with blue and yellow stripes. 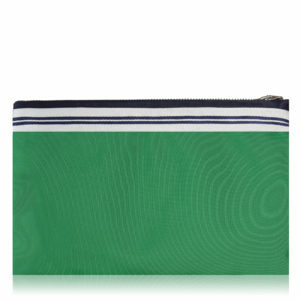 This one of a kind fashion-sport pouch is totally on trend for those who want ease combined with sophistication. Each pouch is designed to carry the essentials, including your phone and comes in many fun colors. 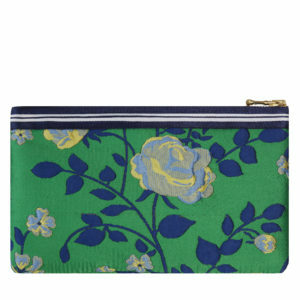 Each pouch measures 8 X 5 and has a chic contrast zipper, lining and inside pocket. 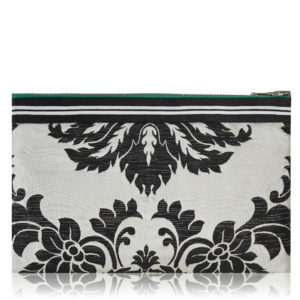 Takes you from yoga class to a night out on the town. Only available at Jennifer Schuitemaker.